Despite being one of the smallest and poorest countries in Africa, Togo is melting pot of culture complete with a charming capital and diverse landscapes. 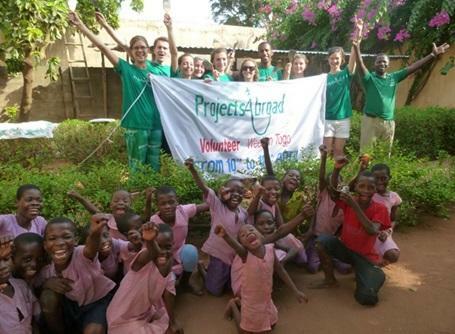 Our group trips in Togo are open to anyone with an enthusiasm for volunteering together in the developing world; including those at school, in a community group, at university or working together. Projects Abroad offers many different projects in Togo, based in the capital city of Lomé. Groups can get involved in Care/Teaching, Community, Sports – including Football, Language, Medicine & Healthcare – including Medicine, Physiotherapy, Nursing, Midwifery, Dentistry and Speech Therapy, and Human Rights projects. Togo is a small sliver of land just 110km across situated in West Africa between Benin and Ghana. The country spans 6 different climate zones, from palm-fringed beaches and lakes in the south on the Gulf of Guinea, through lush forested hills in the centre to the light green and yellow shades of the savannahs in the north. Despite gaining independence from France in 1960, Togo still holds onto a lot of French influences, the main one being that French remains as the first language though a number of tribal dialects are spoken across the country. Other French influences that still remain are the varieties of food, including delicious baguettes and croissants that continue to be sold from boulangeries! As for the economy and standard of living, around half of the population live below the international poverty line, though this figure may now be higher considering that in October 2015, the World Bank updated the international poverty line from £0.85 to £1.30 a day. 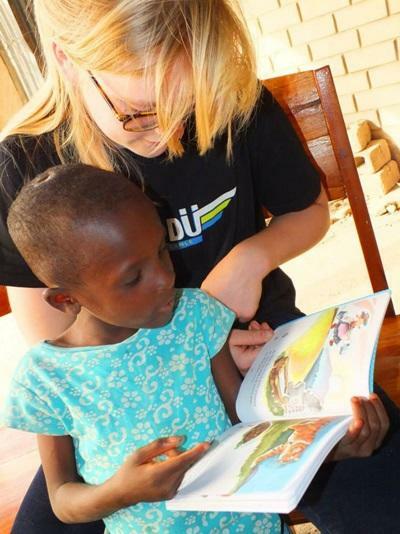 Children are particularly vulnerable and the education system suffers from teacher shortages, lower educational quality in rural areas, and high repetition and dropout rates Volunteers can make a significant contribution by helping to care for children in day care centres or teaching English to young students in schools. Projects Abroad is based in Togo’s capital city of Lomé, which is just a three hour drive from our larger office across the border in Accra, Ghana. Once dubbed ‘the pearl of West Africa’, Lomé retains a charm and nonchalance that is unique among West African capitals. 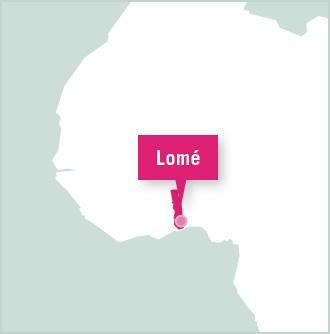 Famed for the beauty of its countryside and the friendliness of its inhabitants, Lomé is the perfect place to relax or explore! The white sandy beaches along the coast give way to multiple restaurants and markets in the city centre selling everything from food and fabrics to voodoo items in the Fetish Market. 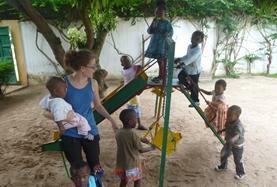 Groups volunteering in Lomé will stay in a hostel or hotel so that work and free time can be easily organised. This also means that groups will be located in the centre of the city so it should be quick and easy to find something for everyone to do in the evenings. Groups will have free time in the evenings and at the weekends do with as they please. You may find yourself checking out Lomé’s markets, nightspots and restaurants in the evenings or even relaxing on the sandy beaches nearby. One thing is for sure, with the local food being reputed as the best in West Africa, you definitely shouldn’t miss out on sampling as much as you can! On the weekends it is possible to incorporate trips into your group’s schedule, whether that be venturing to the north to visit the hills, waterfalls and coffee plantations, or visiting the tropical lakes and lagoons in the south not too far from Lomé. A sight not to miss is the Tamberma Village - UNESCO World Heritage Site. 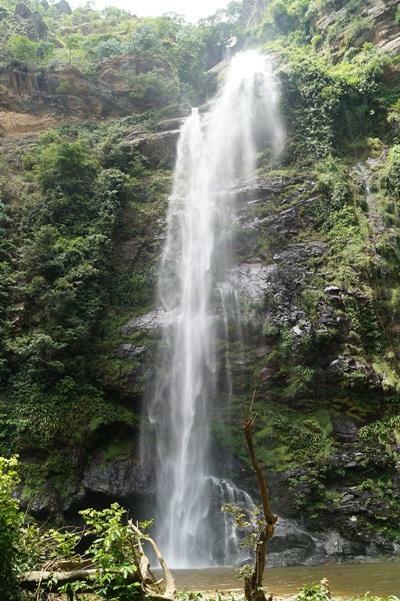 Togo is also an excellent starting point for travel around neighboring West African countries. You can discover the history of mysterious voodoo in Benin or rather head west along the coast to Ghana’s sandy beaches and haunting slave forts.